Product recall insurance covers expenses associated with recalling a product from the market. Product recall insurance is typically purchased by distributors, manufacturers, some retailers, and electronics companies to cover costs like customer notification, shipping, and disposal costs. 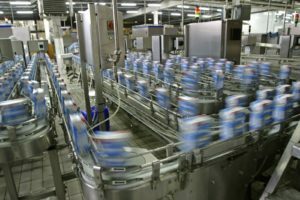 Product recall claims can come from manufacturing errors, design faults, human error, tampering, packaging errors, and more. The consequences to a firm’s profits and balance sheet can be severe, even fatal. Coverage generally applies to the firm itself, though additional coverage can be purchased to cover the costs of third parties. More than 90 tons of prepackaged salads and sandwiches by a California catering company were recalled because of a bacterial strain of E. coli linked to its products. The USDA’s Food Safety and Inspection Service says that it recalled salads and sandwich wraps containing cooked chicken and ham after 26 people in three states were sickened with a strand of E. coli. A compounding pharmacy recalled sterile products because of the possibility of contamination. XYZ Company voluntarily recalled sterile products produced over a six-month period. The U.S. Food and Drug Administration said the recall came because of concerns about the quality control procedures that could pose a potential risk about the sterility of the products. XYZ Company of N.Y recalled about 3,000 area rugs. The rugs failed to meet federal flammability standards, posing a fire hazard to consumers. Three children were injured as a result of their rugs catching fire last year. In order to bring the very best options and most competitive pricing to our customers, Leap / Carpenter / Kemps helped to establish Sierra Gateway Insurance Services in 1991. This entity provides your Leap / Carpenter / Kemps agent with a wealth of marketing options that smaller agencies just cannot access options that in many cases match and exceed those of the largest national agencies.